On several ocassion, people has argue, discuss, and even ask tons of questions about Social Media Marketing (SMM) we hear a lot about on forums and social media groups. 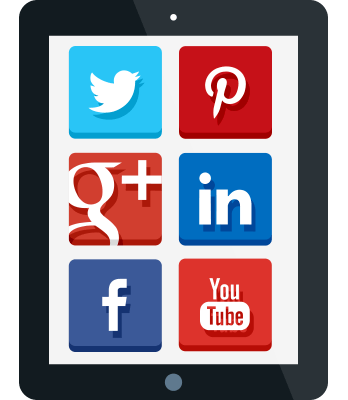 Here is a compiled list of the common social media marketing questions. If you’re a B2C company, then you usually want to be on Facebook, Instagram and Twitter. If you’re a B2B company, you can get away with focusing principally on LinkedIn. The fun and freewheeling nature of Facebook, Instagram and Twitter make them perfect for connecting with people who are making purchase decisions in their own lives. On the other hand, LinkedIn’s most active users tend to be career-minded professionals. Many of them are B2B decision makers at one level or another. Experts agree LinkedIn is responsible for the majority of B2B leads on social media – and it might actually be behind most B2B leads online, period. Twitter is great for connecting with new contacts and meeting social influencers. Instagram is also great for connecting with new contacts and meeting social influencers. Facebook is best for maintaining relationships with your pre-existing customers. You can usually maintain a Twitter, an Instagram and a Facebook account without too much extra fuss. Since the goals of the platforms are different, though, it’s often better to customize your message on each one. The biggest difference between them is that while all Twitter “tweets” show up on every follower’s timeline, relatively few of your Facebook posts are delivered to your followers and instagram feed are displayed on the followers feed timeline. Assuming you’re recruiting followers who have a genuine interest in what you have to say, there are some easy ways to get more attention – including likes, shares, and clicks – for your social media. The first is to make sure you are adding lots of value. The second is to include an accompanying graphic with every social update. Visual posts get much more engagement, including likes, comments, and shares. Although video is highly shareable, a good infographic breaks the scale when it comes to shares. When an infographic is well-designed and presents data in an insightful, fascinating way, people will share it all over the place. Just be sure it features your URL so they can trace it back to you! YouTube is the world’s #2 search engine by queries, second only to Google (of course, YouTube is a Google property). While everyone should aspire to post video content at least occasionally, it requires a whole different set of skills. Your digital marketing campaign usually won’t start with video.